Upright, grey with black and white markings. Perches boldly on top of bush shrubs or other prominent perch. It resembles Lesser Grey Shrike but is distinguished in all cases by larger size, the longer bill and the relatively short wings (with very short primary projection). Wing bar often longer, tail also longer and more graduated. 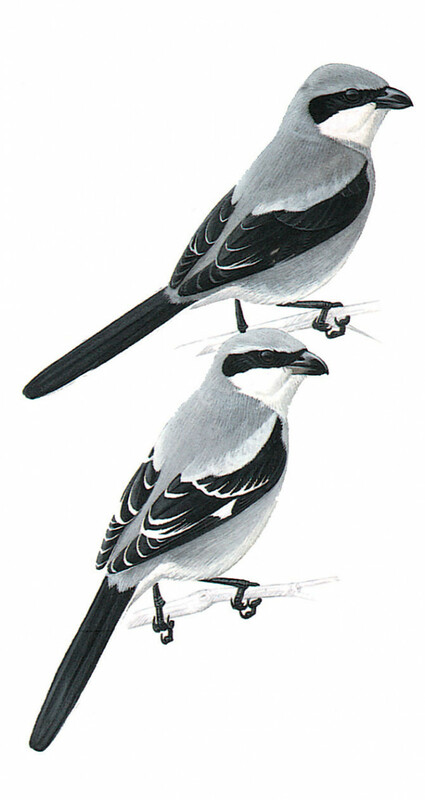 Juvenile and first winter birds looks like counterparts of Lesser Grey Shrike, underparts are usually barred more heavily.